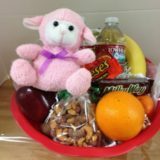 I named this Yum because it’s one Yum – my gift basket!! 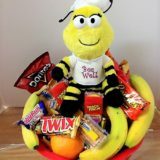 Yummy filled with nuts and assorted candies and popcorn, this is a great basket for a football party like the Super Bowl, for a family get together like an open house, or for a surprise birthday party! 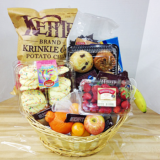 I named this Yum because it’s one Yum – my gift basket!! 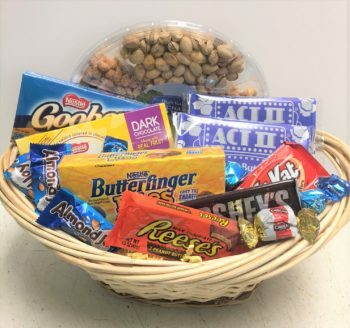 Yummy filled with nuts and assorted candies and popcorn, this is a great basket for a football party like the Super Bowl, for a family get together like an open house, or for a surprise birthday party! 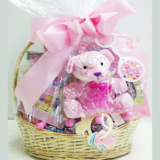 Children of all ages will love the goodies! 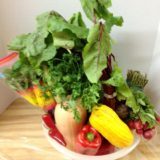 This is a great gift for your boss or secretary, for your doctor or dentist’s office, or even your accountant or lawyer. It’s a great way to say Thanks or Congratulations. It’s also a terrific gift for your realtor! Check out our Grab and Go Extraordinaire or Coffee and Nuts for other great ideas! 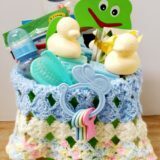 This is a custom design by Tina at Basket Express. You’ll love the goodies, which may vary!